Mix your textures, add some luxury. 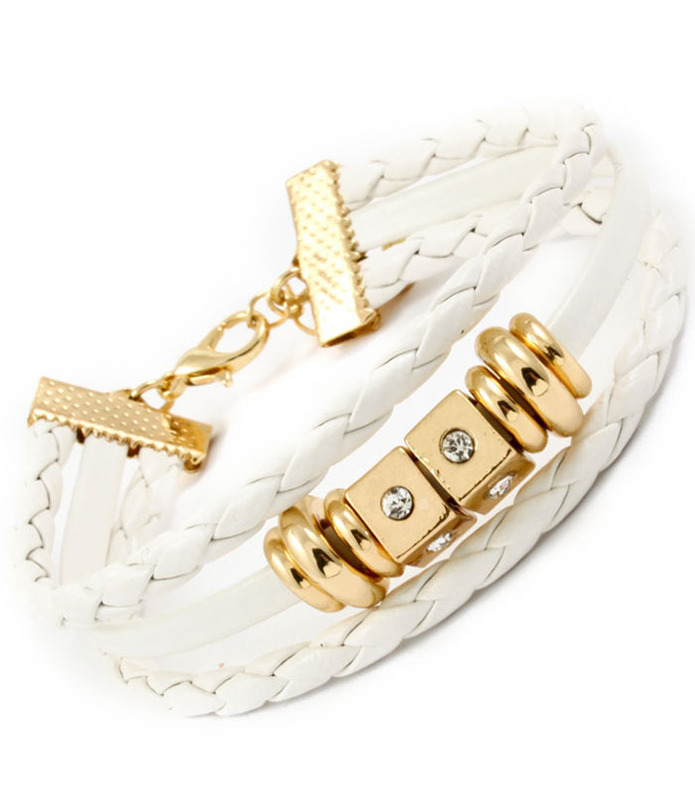 The Erin is a three-strand bracelet of plaited and smooth faux white leather adorned with a glorious little collection of gold-plated beading and accented by miniature rhinestones. Finished with a clasp-fastening. Pair it with all white everything. If you love fashion accessories make Oz Bling your one stop online shop for all styles, fun, formal, chic or unique!